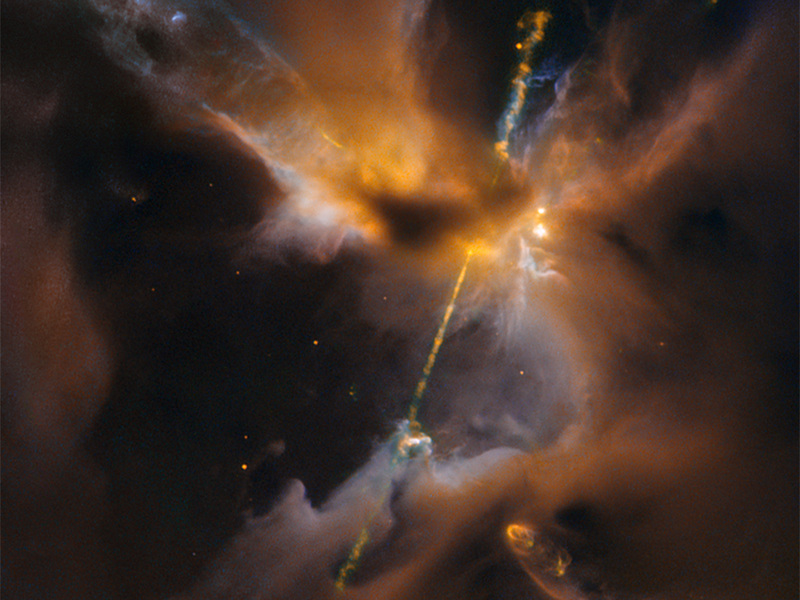 The two lightsabre-like streams crossing the image are jets of energised gas, ejected from the poles of a young star. 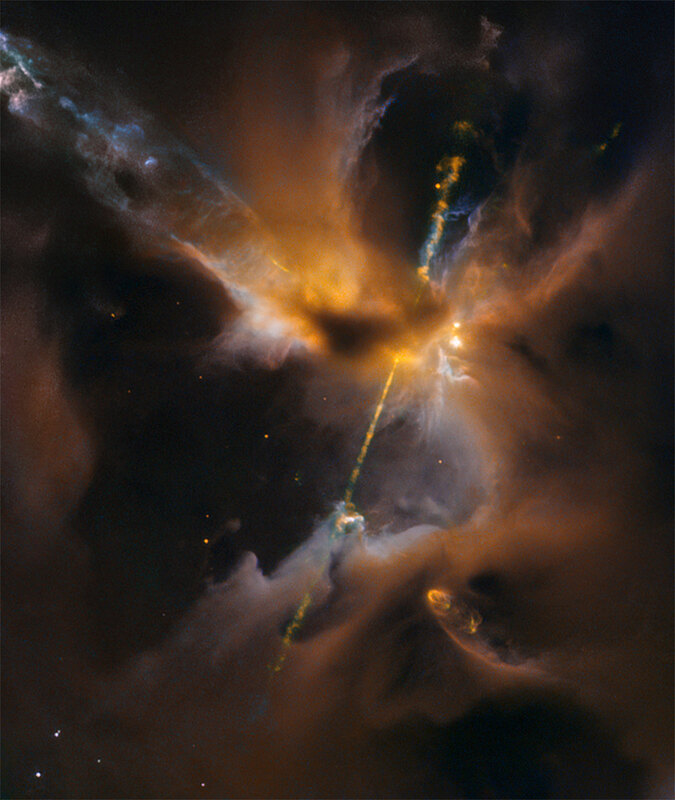 If the jets collide with the surrounding gas and dust they can clear vast spaces, and create curved shock waves, seen as knotted clumps called Herbig-Haro objects. 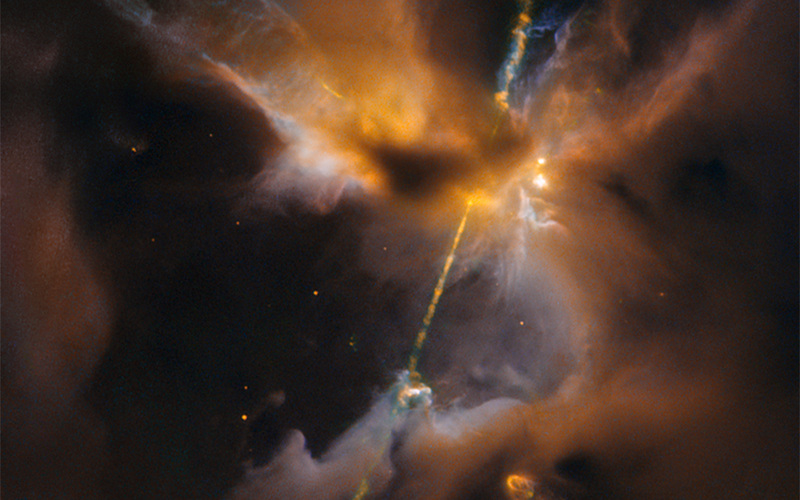 Position (Dec): 0° 10' 7.77"